In 1729 Elias Vater, manufacturer of mirrors and glass products, offered Duke Eberhard Ludwig the idea of own porcelain factory, which was turned down as it simply seemed absurd at that time. The succeeding Duke Carl Alexander later heard from the idea and in 1736 ordered that 2000 Gulden were to be set aside as funds for experiments under Johann Philipp Weißbrodt. Initial experiments failed and further research had to be aborted after the Duke had passed away. 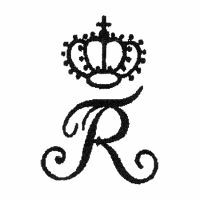 Carl Alexander was succeeded by his son, Duke Carl Eugen, who in 1751 passed a decree which allowed the Calwer Handelscompagnie von Zahn und Dörtenbach to restart research with full access to the previously filed records. This privilege was in 1857 transferred to Bonifatius Christoph Häcker; both however failed due to technical setbacks and insufficient funding. 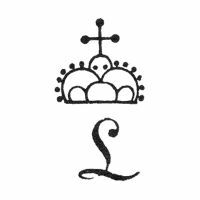 The previous situation changed on April 5th 1758 when Duke Carl Eugen per decree declared the founding of the Ludwigsburger Porzellan-Fabrik, increasing pressure on the involved people. Next to the processing of raw materials which created many problems, initial progress was hindered by a heavy discussion on possible kiln types of which various were still undergoing test. Under the experienced Josef Jacob Ringler however, who became second director on February 16th 1759, the factory soon took up commercial production and in March already had 21 employees. 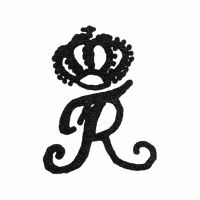 Ringler, late of Strassburg and a number of other factories, was to run the Ludwigsburg factory for the next forty years. Because he had worked in other factories, he knew who to recruit to Duke Carl Eugen's new works, including the well-known painter Gottlieb Friedrich Riedel (employed May 15th 1759) from Meissen and the sculptor Johann Christian Wilhelm Beyer (employed 1759 until 1767). Needless to say, the first years were very successful and the number of employees steadily rose up to 179. 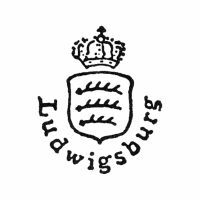 During the period between 1760 to 1775, Ludwigsburg was one of the leading European manufacturers. Ludwigsburg porcelain had a grey-brown color, unlike the white of other German porcelains. The kaolin used was brought in from Hornberg and produced a very malleable body clay, well-suited to the figural work Ludwigsburg produced (and Duke Carl Eugen preferred). Riedel designed the forms and ornaments and often incorporated birds and insects in the painted decoration. The painter Steinkopf, in contrast, preferred to decorate in landscapes and equine subjects. 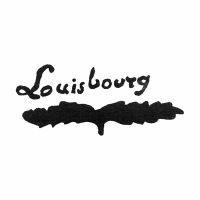 After 1780, designs moved from classical forms towards the popular and elegant Louis XVI style. The factory overreached its income regularly and Duke Carl Eugen until his death in 1793 invested great amounts from his Privy Purse, even if he had abandoned Ludwigsburg as residence in 1775 and moved to Stuttgart. His successor Duke Ludwig Eugen reorganized the factory and paid all its debts, however business was slowly declining as Riedel simply could not let go of his classic Rococo designs and decorations. Even so, the factory was supported by Duke Friedrich Wilhelm Karl from 1797 onwards. 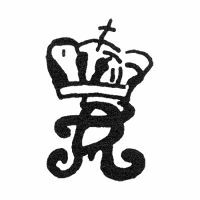 The factory was renamed, proudly showing its Royal-Ducal background, when Duke Friedrich Wilhelm Karl was elected King of Wuerttemberg in 1805 (accepting office on January 1st 1806). Note that the official title of Friedrich Wilhelm Karl in office was Duke Friedrich II which then became King Friedrich I. 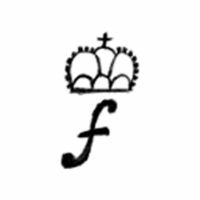 Anyway, when King Friedrich I died in 1816, the factory went into rapid decline due to the fact that his successor King Wilhelm I was not interested in supporting the factory further. It was tried to lease the factory to different people over the years, but to no avail, and so it was ordered to close in 1824 after the molds, decoration books and everything else of value had been archived. It should be mentioned in this context that years after the closure of the Herzoglich-Königliche Porzellan-Manufaktur Ludwigsburg there were two non-related companies which should be mentioned here: the ⇒Württembergische Porzellanmanufaktur Bauer & Pfeiffer (located in the town of Schorndorf) between 1902 and 1931 tried to revive the old tradition of porcelain production in the area. 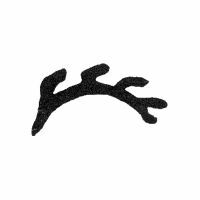 It was in 1918 even allowed to use the old marks, but had to add the initials WPM for Württembergische Porzellanmanufaktur as to not confuse potential customers. The other company involved was named ⇒Porzellan-Manufaktur Alt-Ludwigsburg G.m.b.H. 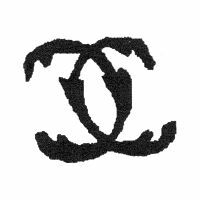 which was established on February 10th 1919 and located in Ludwigsburg itself. 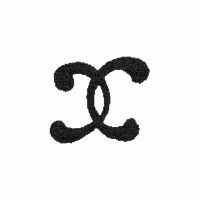 Accused of misleading customers into thinking that the company had something to do with the original factory, they were involved in a court case (with the previously mentioned company in Schorndorf) and lost in July 1920, resulting in a change of both name and marks. 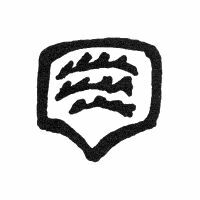 Business however was short-lived, they decided to go into liquidation on June 18th 1925 and were removed from the trade register in 1927. Inspired by original pieces and determined to re-activate the Ludwigsburg spirit that had slept for over 120 years since the closure in 1824, Otto Wanner-Brandt in 1926 purchased the trademark rights for a period of fifty years, however it took him until 1948 before he was able to re-establish the Ludwigbsburg factory. Business was an instant success as the items created, from old molds and with exact the same composition of paint and glazes, allowed many people to replace items or complete series. Hamburg-born patron Karl Emil Heitmann then took over in 1965 and was responsible for the expansion process for the next years; especially notable in this context is the 1967 relocation of the factory to its location in the Ludwigsburg castle. Business went well for the next years, the license was renewed and the factory was modernized and expanded further. In 1993, a demonstration room was added to the porcelain gallery and in 1994 the factory was honoured by receiving a prize from the foundation of the Württembergische Hypothekenbank Kunst und Wissenschaft, rewarded for preserving and maintaining the porcelain manufacturers traditions. 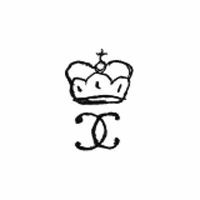 Following an ongoing market-wide discussion upon what was deemed hand-made in our age of industrial production, the company in 1995 reworked its regulations and explicitly stated that all items would be completely hand-made according to the traditional production methods. At the same time an art advisory board was established, consisting of porcelain experts and art historians, which ensured the quality of decorations as well as the perfect reproduction of older items. Additionally, the board also ensured that modern day designs fitted into the historic portfolio. The last larger investment was the 2004 opening of the Porcelain Museum at the Ludwigsburg castle. Until 2004, the Porzellan-Manufaktur Ludwigsburg was funded by the federal state of Baden-Wuerttemberg, the city of Ludwigsburg, of federal bank of Baden-Wuerttemberg, Prof. Dr. Berthold Leibinger and Carl Herzog von Wuerttemberg. All expenses, for example a total of 2 million Euro in 2002, were carried by those shareholders. The German porcelain industry had already been steering into a crisis even before German reunification in 1990; the overall market development which followed had caused many factories to close. Having that as well as the general decline in German economics in mind, these shareholders had been cutting back support and had lomg started to look for a solution. The Egana Goldpfeil holding (a group concentrating on luxury goods manufacturers) in 2004 took over 87.5 percent of shares while the remaining 12.5 percent remained in the hands of the city of Ludwigsburg. 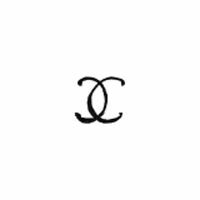 It was assumed that the prestigious and internationally located stores belonging to that holding would allow an increase of sales. Only four years later, in August 2008, the Egana Goldpfeil (Europe) Holding however filed for insolvency procedures, subsequently forcing the porcelain factory to do the same on August 29th 2008. 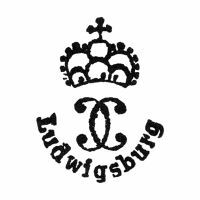 On February 16th 2009 the factory was taken over by the Lucas A.G. (a Russian investment group registered in Switzerland) and renamed to Schlossmanufaktur Ludwigsburg G.m.b.H. which received a license until 2019 and was from July 2009 onwards represented by director Maxim Gennel. 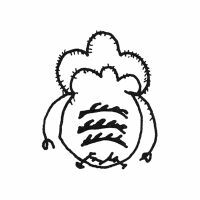 What followed then can best be named a farce. Short time working hours had been introduced in May 2010, followed by the founding of the SML Produktionsgesellschaft m.b.H. in June 2010 to which all production and the remaining 17 employees were outsourced. The kiln then failed under mysterious circmstances and in a way which would have required very costly repairs; production had to be aborted. 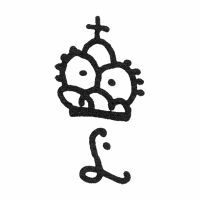 Therefore the SML Produktionsgesellschaft m.b.H. already in August 2010 had to file for insolvency proceedings, subsequently all employees lost their jobs; the federal trustee closed operations on November 30th 2010. But that was only the opening act of a puppet theater with the responsible cultural advisor of Baden-Wuerttemberg on the one hand and rather dubious businessmen on the other. Not a single piece of Ludwigsburg porcelain has been produced since then (this page was finished November 22nd 2013). In fact a large numer of molds vanished and had to be later confiscated elsewhere by the police. Various related court cases are still in progress, hence I will not comment further. Plain fact is that the Schlossmanufaktur Ludwigsburg G.m.b.H. filed for insolvency proceedings in March 2014. 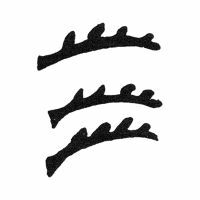 Note that between 1948 and 2009, all pieces from this factory (in addition to the normal mark) also show a decorator mark which can be found listed as Decorator Signature following the normal factory marks below. Sadly, I could not find any information which showed during which years these different decorators were active. 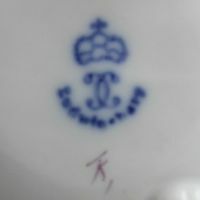 Period of Duke Carl Eugen (1744-1793), mark used between 1759 and 1760. 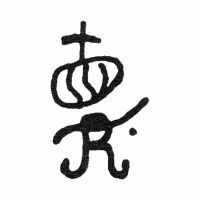 Period of Duke Carl Eugen (1744-1793), mark used between 1759 and 1762. 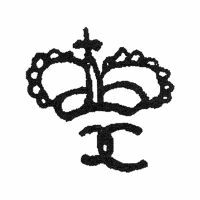 Period of Duke Carl Eugen (1744-1793), mark used around 1763. 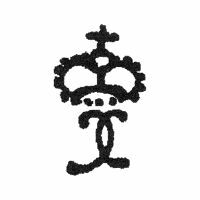 Period of Duke Carl Eugen (1744-1793), mark used around 1764. 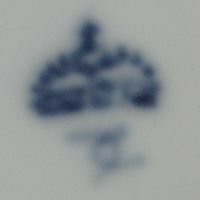 Period of Duke Carl Eugen (1744-1793), mark used between 1764 and 1793. Period of Duke Carl Eugen (1744-1793), example. 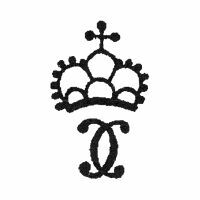 Period of Duke Carl Eugen (1744-1793), mark used around 1765. 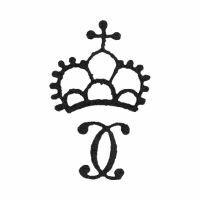 Period of Duke Carl Eugen (1744-1793), mark used between 1770 and 1775. 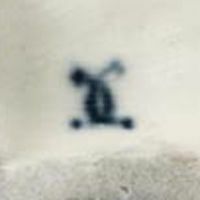 Period of Duke Carl Eugen (1744-1793), mark used between 1770 and 1780. 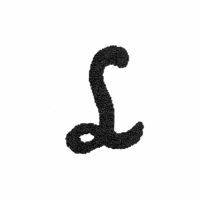 Generic mark used between around 1793 and around 1815. 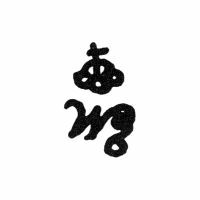 Period of Duke Ludwig Eugen (1793-1795), mark used between 1793 and 1795. 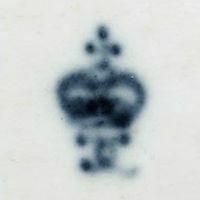 Period of Duke Friedrich Eugen (1795-1797), mark used between 1795 and 1797. 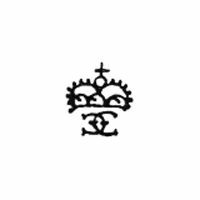 Period of Duke Friedrich II (Duke 1797-1803, Elector 1803-1805), mark used between 1797 and 1805. 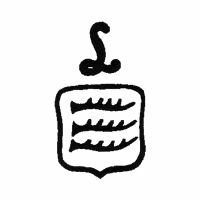 Generic mark used between 1800 and 1810. 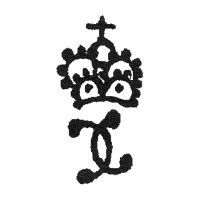 Period of Duke Friedrich II (Duke 1797-1803, Elector 1803-1805), mark used between 1803 and 1816. Period of King Friedrich I (Duke Friedrich II was King Friedrich I ! 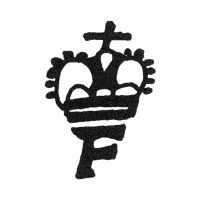 ), mark used between 1806 and 1816; the 'FR' stands for 'Fridericus Rex'. 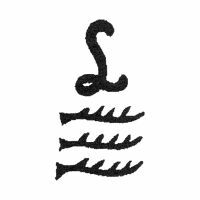 Another example used between 1806 and 1816. 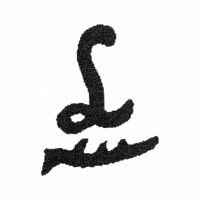 Generic mark used between 1810 and 1816. 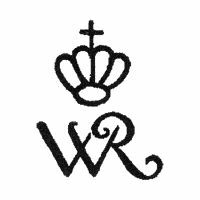 Period of King Wilhelm I (1816-1856), used between 1816 and 1824, the ligated 'WR' stands for 'Wilhelmus Rex'. 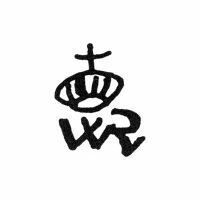 Period of King Wilhelm I (1816-1856), used between 1816 and 1824. 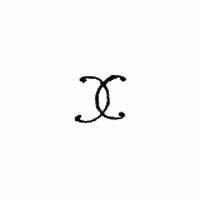 Used since 1947, always accompanied with the decorator initials. 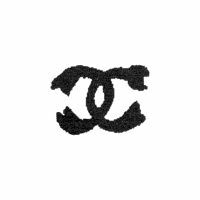 Used since 1947, registered for special editions only.